The mission of the Mercy Community Health Foundation is simple: to raise funds in support of Ascension Via Christi Hospital in Manhattan and its programs. Established January 1, 1997, the Mercy Foundation has spent more than 17 years working to bring the best healthcare services and professionals to the Flint Hills. By providing area residents with a variety of ways to give to local healthcare — including annual giving, corporate partnerships, memorials, planned giving tools, special events and capital campaigns — together we have been able to generate the resources needed to create outstanding results in our community. Please explore our accomplishments to date, our goals for the future and ways you can contribute. If you or a loved one received exceptional care from a Ascension Via Christi Hospital in Manhattan physician, nurse, therapist or other employee, say "thank you" with a gift in the caregiver's honor to the Guardian Angel Program. 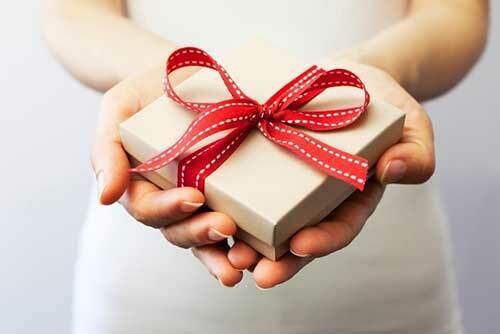 Along with your generous gift, tell us about the special care you or your loved one received. We'll share your kind words with your "angel" and recognize him or her with a letter of acknowledgment and this custom-crafted Guardian Angel lapel pin. It's a wonderful way to recognize those who serve others "in the way of Christ." Print and fill out this form and return it to the Mercy Community Health Foundation.